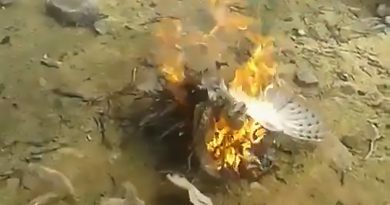 This is the moment a car owner watches his 1974 Porsche 911 go up in flames as he desperately battles to put the blaze out. 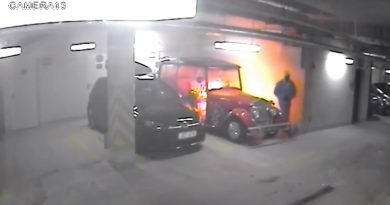 The footage shows the man frantically trying to quench the blaze which is destroying his 80,000 GBP pride and joy. 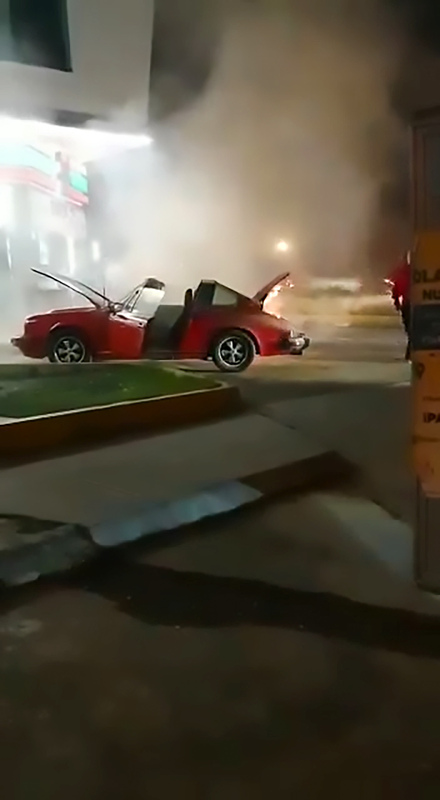 In the video clip, viewed over 163,000 times on Facebook, the red Porsche convertible’s rear-mounted engine is seen on fire as the desperate owner appears to take a spray can from the boot which he then uses on the flames. A shop worker then runs out of a nearby supermarket carrying a fire extinguisher which he then uses to try to put out the blaze. 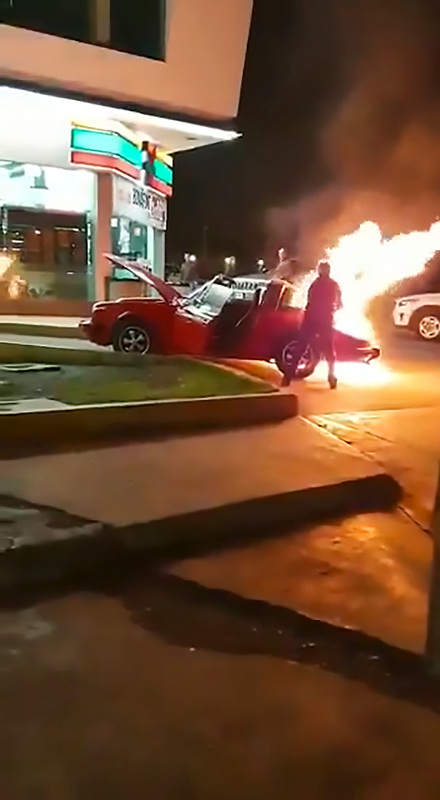 The incident took place in the borough of San Pedro in the north-eastern Mexican state of Nuevo Leon when the luxury sports car, owned by Eduardo Mariscal, caught fire for unknown reasons. 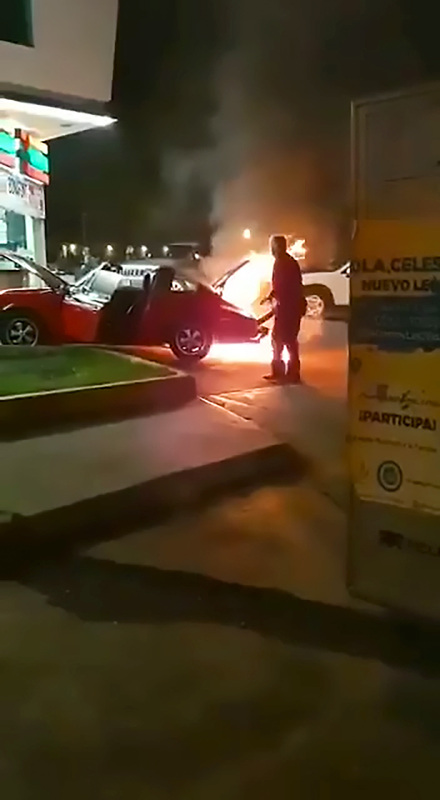 According to local media, the classic car, reportedly worth two million MXN (79,850 GBP) caught fire outside a shop and spooked passersby. 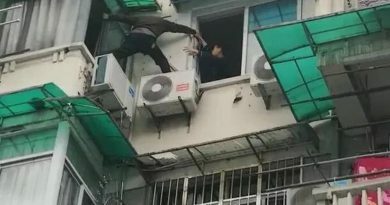 According to reports, the fire was eventually put out. No one was injured during the incident and it is unclear whether the authorities are investigating the car fire. It is also unclear how much damage the car eventually suffered and whether it was a write-off. The Porsche 911 was a luxury sports car manufactured in Stuttgart, Germany. The famous design was first introduced in 1963 and continued until 1989. I am a journalist and subeditor working for Central European News.